​The varsity girls basketball team is looking forward to what will hopefully be a successful season. The Camp Fire, which first began in Butte County, became the biggest wildfire in California history. ​The wrestling program has a new addition, a coach who looking to bring a fresh coaching style and perspective to the team. Being quick on your feet is an important part of soccer. CCS has always been a dream for many high school athletes. Ending their first season in the Mt. Hamilton division, girls’ tennis finished with a 4-10 record. Overcoming every challenge that they faced, the boys water polo team advanced through BVAL finals to win the Mt. Hamilton league. 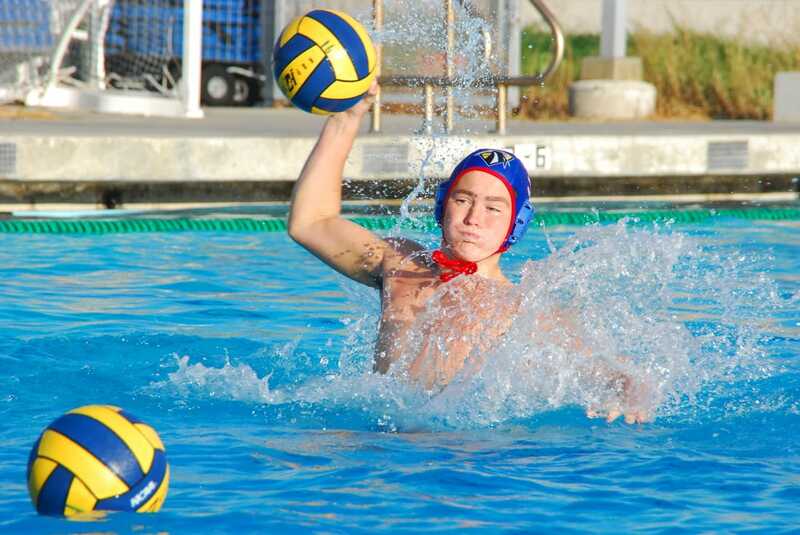 ​The boys’ water polo team excelled in both leadership and skill to have their best season yet in a long time. The girls volleyball team has made it to the playoffs for the first time in two years. I did not know Naomi Osaka won the Grand Slam, the tournament that offers the most ranking points, award money, and media attention, until a week before I started writing this article. After the long and strenuous process of bringing a brand new athletics team to school, the dream of a boys lacrosse team is slowly becoming a reality. 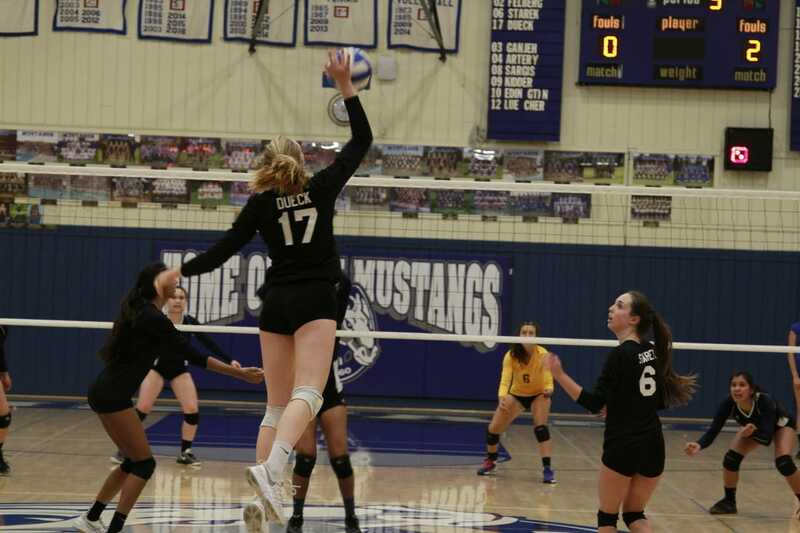 The girls volleyball program transitioned into a new league this year, and with that comes a different range of teams at more competitive levels. ​After several losing seasons, the football team has bounced back and started their season with a solid 3-0 start in preseason games. Injuries are a given in almost every sport. For tennis player Sonja Ryser, 12, her injury came at the worst of times. I did not go to his funeral. I knew I should have, but I didn’t and now it is the single greatest regret I have. As the school year started, the players geared up for their fall sports season all with the hopes of improving their past record. Glancing back at this past year in varsity sports, winter sports teams achieved many of their goals. The end of the year sports concluded a successful season with all nine sports achieving different levels of success. The Colin Kaepernick debate has been going on forever. The former quarterback for the San Francisco 49ers was once their star athlete, but since protesting during the national anthem, he’s had a target on his back. The ice hockey team finished their inaugural season and looks forward to a growing their program in preparation for next year’s team. Underclassmen are getting a jump start on the competition even though they are new to the world of track and field. The Philadelphia Eagles won Super Bowl LII and chaos, good and bad, ensued. The three divers on the diving team are looking to expand the program and hopefully gain more attention for their sport. Aside from being an annual event that is loved by students throughout, the Chris Bush Classic is a commemorative tournament that gives recognition to former student Chris Bush and what he achieved at Pioneer. The Olympic athletes have the world’s eye on them. Some crumble under that pressure, others thrive off it. Swimming has always been a cut sport, but in previous years, coaches have never exercised their right to, earning it a reputation of being less competitive. With the new spring season approaching, the tryout process looks very different with the addition of the Ticket to Play process. 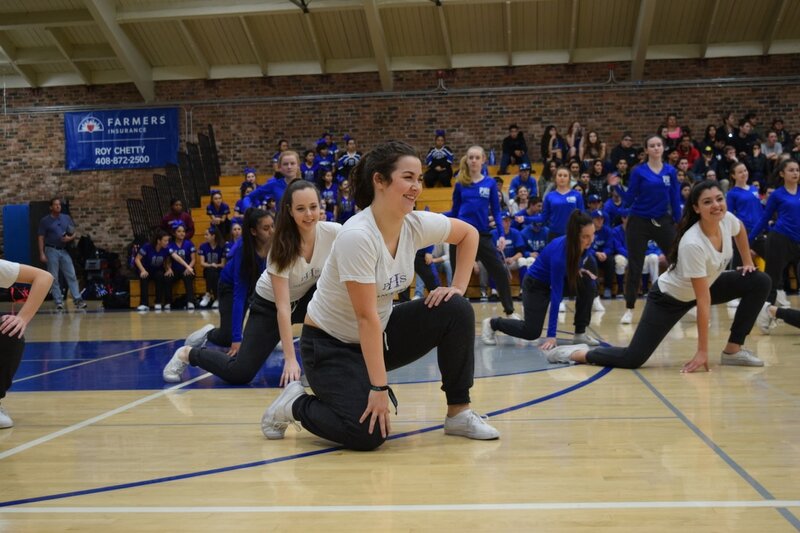 On Feb. 3, the cheer team sprang into their annual clinic as they focused on their leadership management. With the badminton team moving up to the Blossom Valley Athletic League’s Mt. Hamilton League, Serena Pu, 12, is gearing up for the new season. Six-time Olympic medalist and captain of the 2012 and 2016 USA Gymnastics Olympic team Aly Raisman took down now-former USA Gymnastics and Michigan State University team doctor Larry Nassar for his repeated abuse. The Performance Dance Team traveled to Sacramento for "Country Night"
On Jan. 17, the Sacramento Kings hosted the dance team in front of close to 17,000 people for the halftime show at the “Country Night” game against the Utah Jazz. Juggling a full time job, coaching soccer, and assisting with the lacrosse team encompasses Resource Specialist Jackie Ryan’s everyday life. The wrestling team is dwindling in numbers and is learning to rely on their younger wrestlers. Basketball captain Michael Smith, 12, has been dedicated to basketball since he started playing at 8 years old. New York Giants quarterback Eli Manning played 210 games straight in his 14 seasons in the NFL. The girls varsity soccer team is back in the Mt. Hamilton Division, the top of the Blossom Valley Athletic League, after three years and is preparing to have a challenging season playing at a higher level. The football and basketball teams were founded along with the school back in 1960, but it has taken 57 years for an ice hockey team to form. From tennis to basketball, Monika Mizota, 12, has worked hard to prove her dedication to Pioneer athletics, which is paying off out on the basketball court. 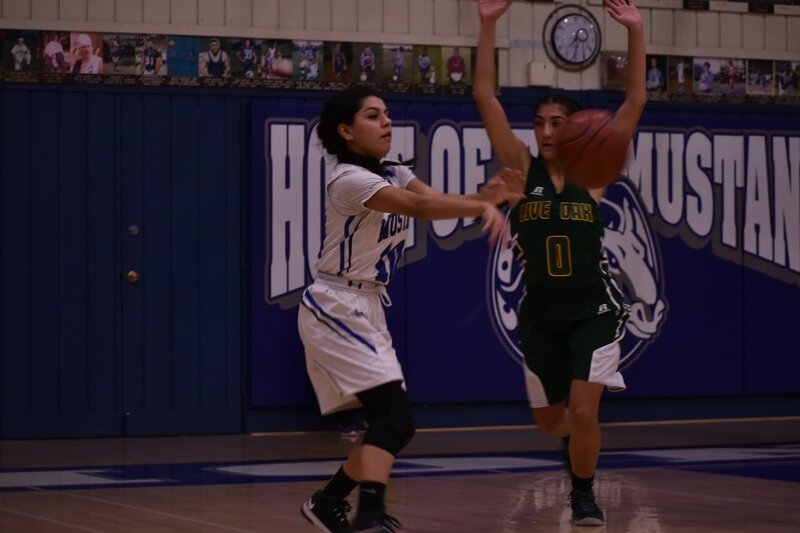 The girls varsity basketball team hosted the Glenn Ventura Classic for the 33rd year in a row from Nov. 29 to Dec. 1. On a nationally-broadcast game with almost 14 million viewers, Yuli Gurriel, Houston Astros first baseman, acted offensively as part of his home run celebration in Game 3 of the World Series. The San Francisco 49ers chose Eddie Orozco, 12, as the High School Athlete of the Week for his 238 yard, four touchdown performance against Leigh High School. After moving up to A League for the first time in school history the girls volleyball team struggled to keep pace with teams who were already established in the top tier. After nearly 17 years since the last BVALs win, Mika Perez, 10, and the girls tennis team brought tennis back into conversation at Pioneer. One Mustang has worn his brother’s struggle on his chest for a year and a half now, but this season his cross country teammates are taking some of that weight off of him. This year, Battle of the Den was intensified with an energetic rally, where Pioneer and Leland competed head to head before the big game on Sept. 8. With a new football season comes a new cheer season, new coach and new focus for the cheer team. The boys volleyball team plans to use this past season as inspiration to be better next year. For boys volleyball, the end of the season is just the beginning for next year’s team. They have put this season behind them and are looking to improve ahead of the 2017-18 season. Even with a 3-5 start and an injury to senior Holly Azevedo - their D1-bound starting pitcher - girls softball turned their season around and won league in a three-way tie with Leland and Santa Teresa. Over the course of the 2016-17 season, teams built upon their CCS legacies and others have entered a rebuilding phase, all while keeping Pioneer athletics one of the most competitive programs in the Blossom Valley Athletic League. Girls lacrosse sophomore Sam Nichol is a two-way star, anchoring the defense and taking charge on the offensive end. Drawing from her experiences in ice hockey and water polo, Nichol leads the squad with her physicality and dedication. ​Pioneer’s throwing team is on track to have one of their most successful seasons in recent years, even without having a hired coach. 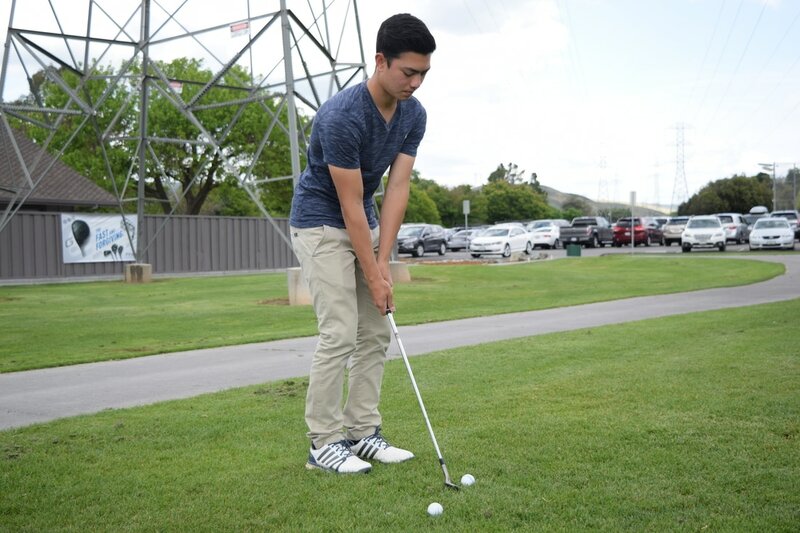 Stacked with prospects, there are high expectations for Pioneer’s golf team, led by the Northern California Golf Association players of the year, Thomas Hutchinson, 12, and Sabrina Iqbal, 11. For the third year in a row, the girls varsity softball team set out to take home the Central Coast Section title. During his freshmen year on the badminton team, Luke Trinh, 11, effortlessly picked up the sport and earned the top spot on boys doubles by the end of the year. In her first season as head coach of Pioneer’s swim team, Beth Mlakar is enthusiastic about improving the team’s mental and physical capabilities. As her final year at Pioneer comes to a close, Maya Jimenez, 12, is ending on the right foot. 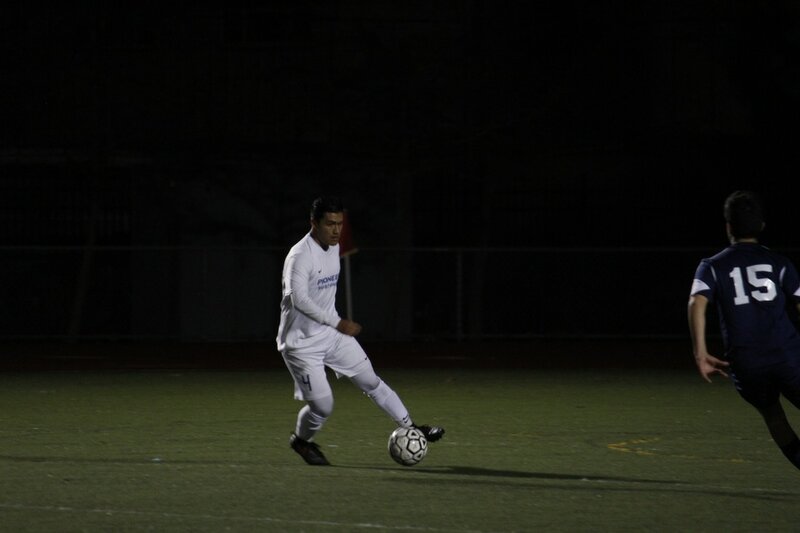 Hard work is beginning to pay off within the Pioneer boys varsity soccer team. On the brink of qualifying for CCS, boys basketball is looking to steal a spot in the tournament. ​As the third generation of soccer players in his family, Francisco Rivas Gonzalez, 12, has the skills to shut down opponents and the heart to inspire his teammates, even though coaches say he isn’t the “most vocal” person on the field. Stepping on a scale before the next match, wrestlers wait to see if their final push to make their weight goal paid off. Girls volleyball bounced back from a disappointing 3-11 season in 2015 to post an 11-3 record in the 2016 season. 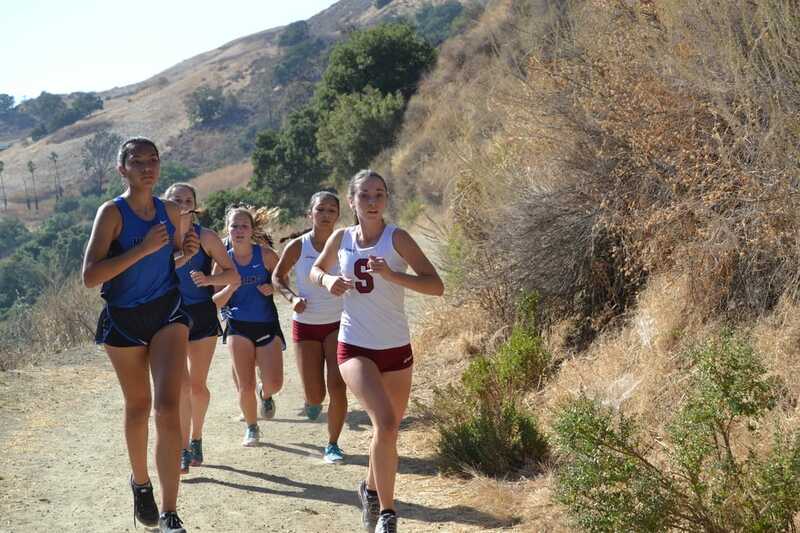 By taking second in the Santa Teresa division of the Blossom Valley Athletic League, the team will move up to the Mount Hamilton division and compete in A League in 2017.